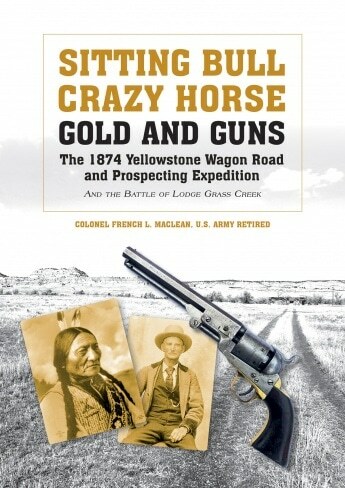 Each afternoon that the wagon train was on the move, Frank Grounds would personally select a campsite on high ground, with no higher terrain in the vicinity from which warriors snipers could fire down into the camp. 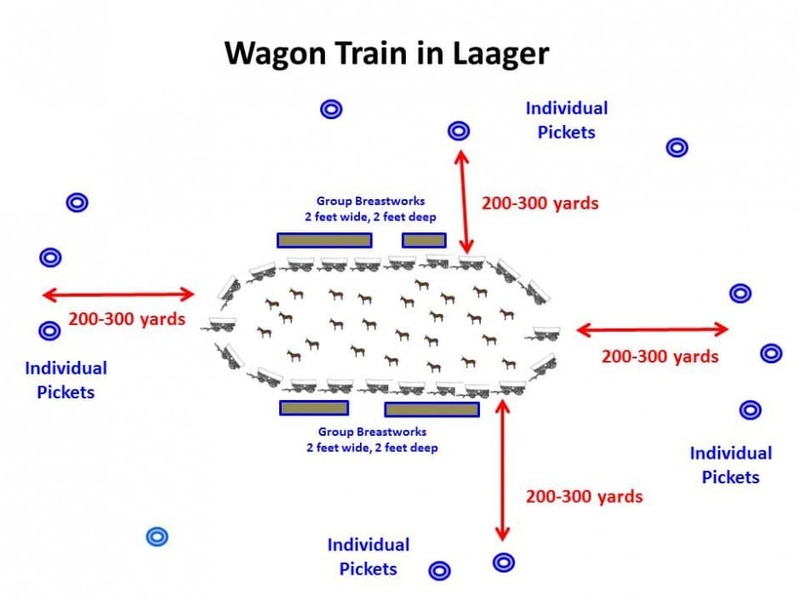 Each site was large enough for the men to place all the wagons in an oval and chain them together. At dusk, the frontiersmen would drive all the livestock into the center of this oval, as if these animals were killed or driven off, disaster would follow. In many places, this center position for the livestock was in a slight possession, where the animals could be corralled. When the wagon train was halted for the night, Joe Cook stated that the men would dig a trench about two feet wide and two feet deep on both sides of the corral for breastworks for the protection of the pickets. They would then dig holes out from two to three hundred yards from the camp. Each man cut a “head log” from eight to ten inches in diameter and about three feet long. They would lay these on the embankments and dig small post holes under the logs, so that the Indians could not shoot them in the head, while the frontiersmen were shooting. Whenever any of these pickets fired a shot, all the others would come into camp as soon as possible.